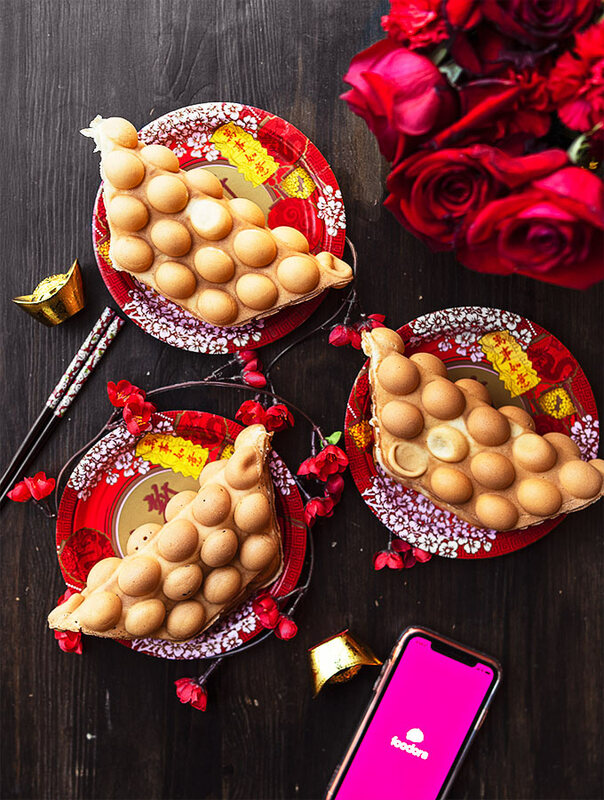 Happy Lunar New Year everyone! 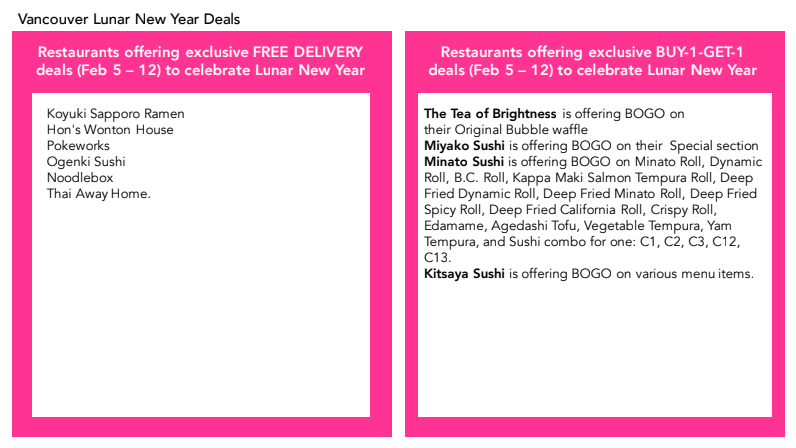 To celebrate the occasion, foodora.ca has 10 participating restaurants in Vancouver offering either FREE DELIVERY or BOGO deals from February 5 – 12. These include: Noodlebox | Hon’s Wonton House | Koyuki Sapporo Ramen | Pokeworks | TTOB Cambie | Ogenki Sushi| Miyako Sushi | Thai Away Home | Minato Sushi | Kitstaya Sushi. TTOB on Cambie has a BOGO Original Waffle deal which is perfect if you’re a bubble waffle lover like me. Enjoy! Disclosure: I am a foodora media partner.